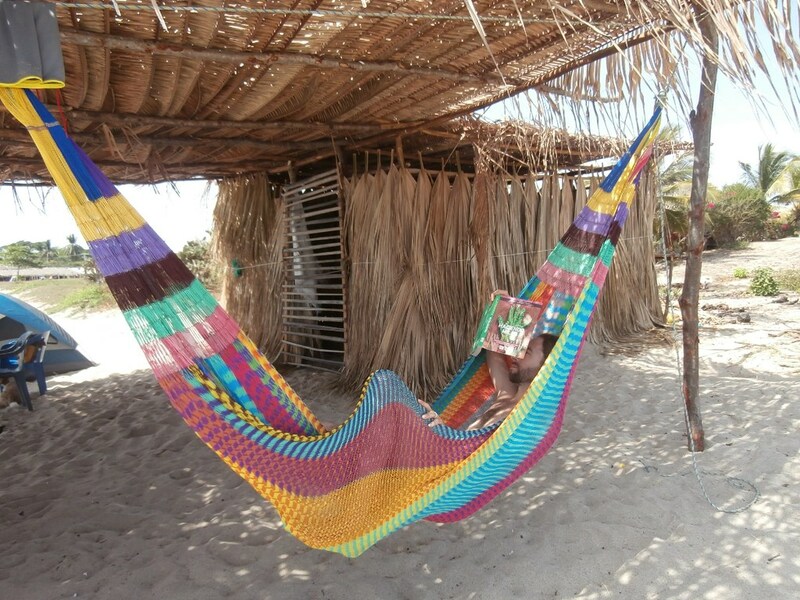 You’d think that someone lounging in a hammock on the beach would stay still for more than five minutes. Not the case. 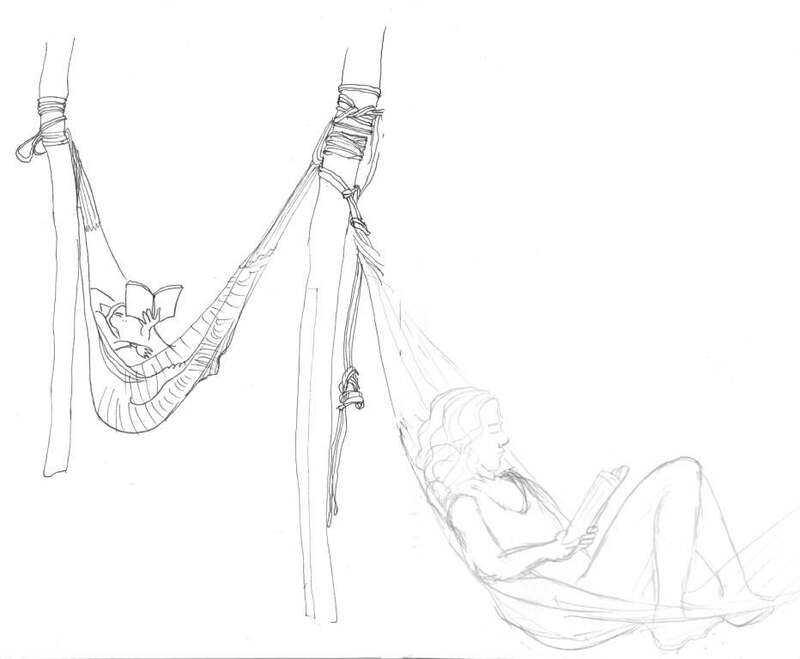 My drawings of friends in hammocks ended up as express sketches – croquis – live drawing done with very little time. 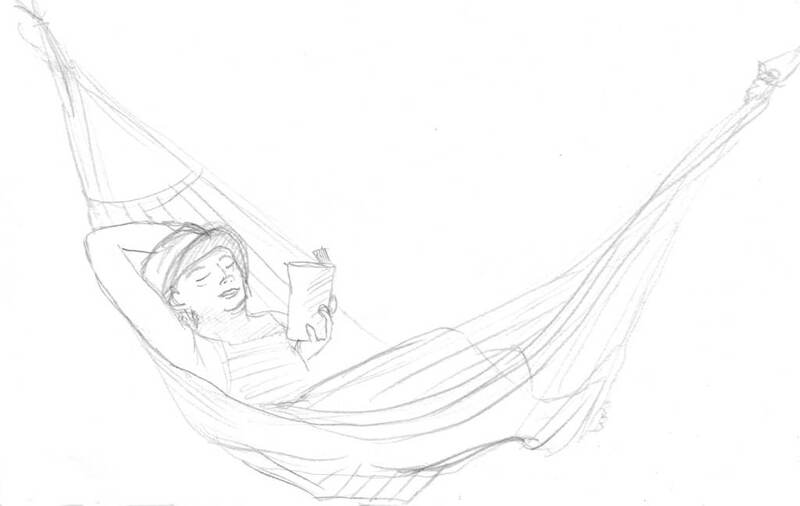 But once they moved and messed up my portrait I could still work on the ropes and knots. 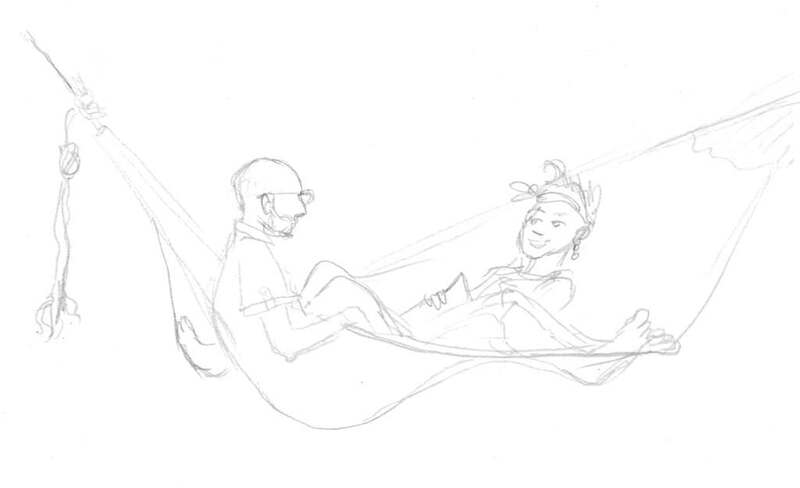 Hammocks define the outermost points of the person inside… it’s as if they wrap a plane around limbs and protrusions which makes for fun drawings. There’s something early-90s-computer-graphicksy about them. And you get to feel like you did something creative on holiday.